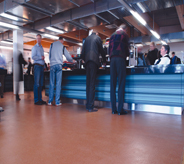 Silikal’s no slip floors proffer anti slip floor coatings specifically employed to avert a floor slip designed right into their anti-slip floor coatings. Floors designated as no slip will have received special anti-slip coatings to those floors. 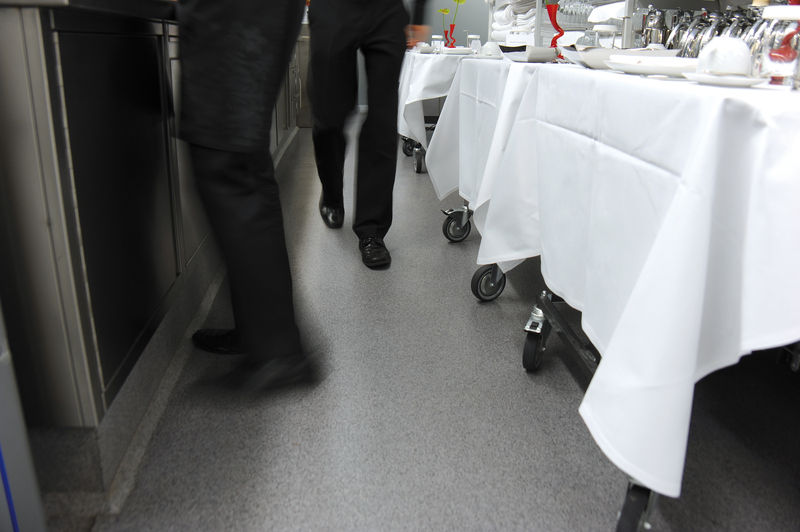 Did you know that no slip flooring is actually customizable for the degree of anti-slipperiness desired? 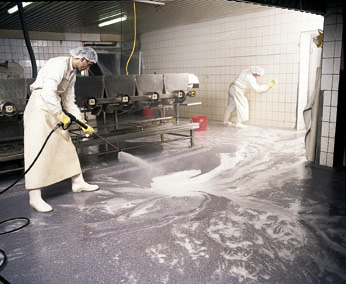 In today’s litigious society it seems to be more and more important to have totally no slip floors. After all we’ve all read the reports that circulate in the Internet about customers in a general store who carry a drink inside the store in a paper cup, but who later spill some of it on to the floor. They slip and fall and are seriously hurt, yet the courts do not take it into account that they slipped because they carried in that drink against the store’s policy which was clearly posted at the mall entrance to that particular store. Instead the store pays, and pays a lot to take care of this man’s injuries and subsequent unemployment. Hospitals encounter this kind of mentality all the time. Case in point, a female patient wakes up in the middle of the night, buzzes for the nurse to come help her out of bed to go to the bathroom, but the nurse is too busy at the time and tells her to wait via their intercom system. Five minutes later, the woman can no longer wait, tries to get out of bed herself, accidentally releases some urine, slips and falls and breaks a leg. Unfortunately her husband sues the hospital and wins his case, all because the hospital did not have no slip floors. Finally we move on to a doggy care salon that caters to some of the richest clientele in California. The company specializes in one-on-one care and loving of the animal in order to appeal to those rich owners of “wealthy” dogs. Care here is considered the crème de la crème as far as having the best of the best for these pampered pooches. One of Hollywood’s biggest stars sends her toy poodle here to spend the day and get his hair cut as well as a well-deserved bath and beauty works. As “Pierre” is being de-matted prior to his bath, some “lesser” dog has urinated on the floor and as “Pierre’s” caregiver is carrying him to the bathing area, she slips on the urine, and loses her grip on Pierre who unceremoniously lands in a steel basin holding purple dye for another dog. Pierre is dyed purple and breaks both front paws. Can you guess what happened to the doggy care salon since they did not have adequate business insurance and no slip floors? You guessed it, that business is no longer in business, but rest assured that Pierre managed to walk quite well before he was ready to have the casts removed. Unfortunately not only are cases being won by those who have slip and fall accidents near home anymore. Grocery stores the world over are becoming more and more aware of being sued for not having no slip floors when such accidents happen. 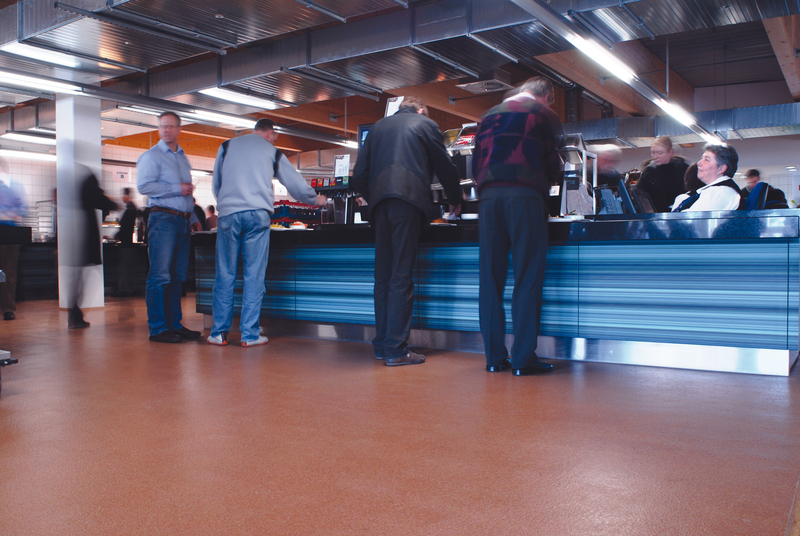 Regardless of what your business consists of, be sure and get the best protection possible via having Silikal slip-proof flooring.